G & C Carpet and Upholstery Cleaning uses the latest, state-of-the-art carpet cleaning equipment and environmentally-friendly cleaning products that are safe for your family and your pets. Our steam cleaning processes remove even the toughest dirt and stains from your carpets and rugs. 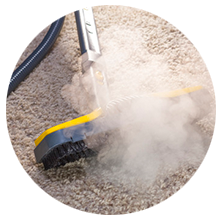 Our high pressure heated steam cleaning processes is the preferred method for professional carpet cleaners. 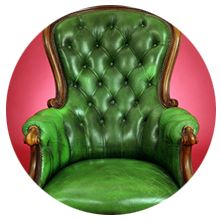 G & C Carpet and Upholstery Cleaning are highly experienced in cleaning a wide variety of upholstery. From your lounge, to your dining chairs, to the upholstery and interior of your car or boat, even your mattresses, we ensure all your upholstery stays clean fresh and stain free. Fabric types can vary and it is important to use the appropriate cleaning and deodorizing method depending on the type of fabric. 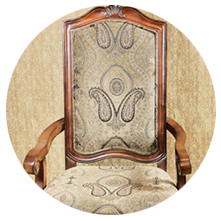 We have extensive experience in cleaning a large variety of fabric such as cotton, tapestries, suede, wool, flannel, fleece, corduroy, velvet, velour – just to name a few. We provide extensive comprehensive leather cleaning services that ensures your leather is cleaned and conditioned, ensuring long term use. We clean your leather by hand using top of the line shampoos and conditioners to clean and remove soiling, ensuring your leather does not degenerate, and maintains it colour. It’s important to regularly clean and protect your leather products to prevent premature damage.